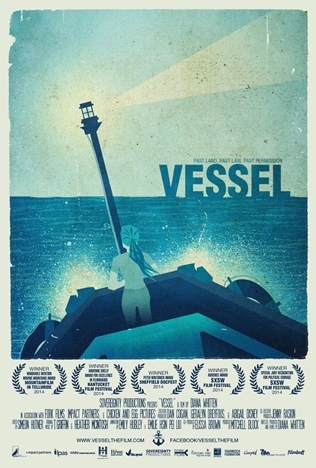 “Vessel begins with a young doctor who lived by the sea, and an unlikely idea. Rebecca Gomperts, horrified by the realities created by anti-abortion law around the world, felt compelled to challenge this. Her method: to provide abortions on a ship in offshore waters. After its UK premiere at Sheffield Doc/Fest, the film screened at Leeds International Film Festival in November, from where our contributor Liz Smith reports. Read Liz’s review and comment. The picture is Vessel poster.